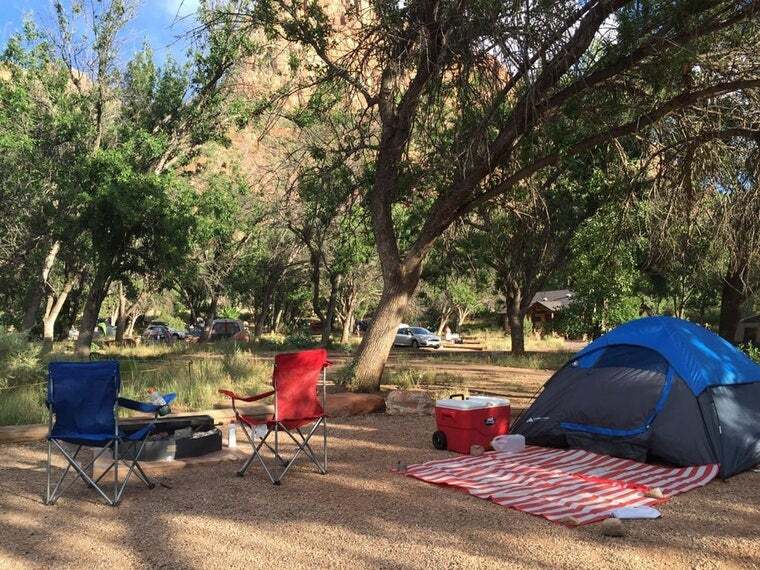 Watchman Campground is one of only two reservable campgrounds in Zion National Park. 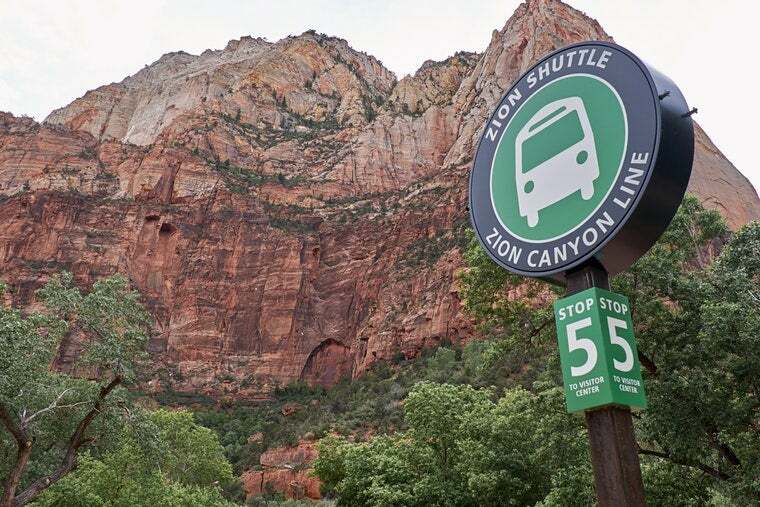 With nearly 4 million visitors arriving annually, Zion National Park is the fifth most popular national park in the country. The long line of cars at the entrance to Zion National Park is the first indication that this won’t be a solitary experience. 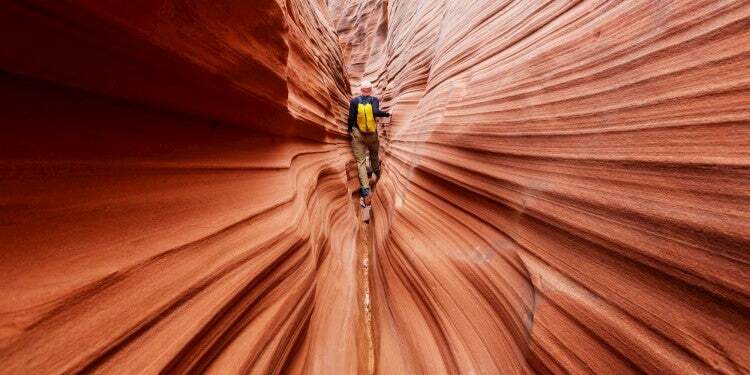 Lines are a regular part of enjoying Zion Valley — the main section of Zion National Park, containing popular hikes such as Angel’s Landing and The Narrows. 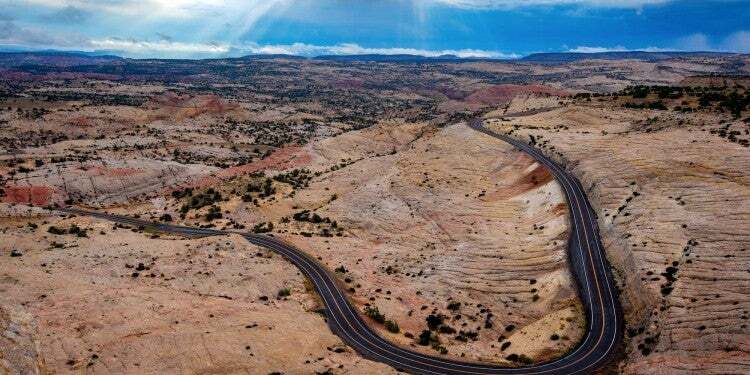 But the twisting trails, red rock cliffs, and the kaleidoscope of warm desert colors shifting across each day make this destination worthwhile for many, despite the crowds. Camping at Watchman Campground requires some planning. 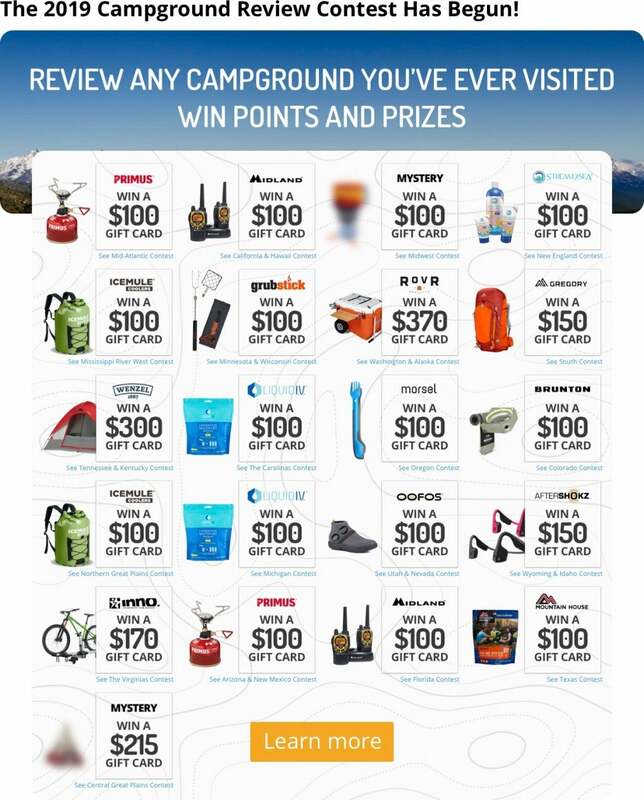 Whether you’re trying to beat the crowds, embrace them, or avoid them all together, advice on camping at Watchman Campground from campers who have been is valuable in preparing to visit this special place. Image from The Dyrt camper Jasmine L.
Zion is one of the most crowded parks in the country. Despite there being 229 square miles of desert and valley to explore, visitors all often gather in the same places, including two of the three campgrounds and near the shuttle service area. During the off-season, even these concentrated areas are significantly less crowded. 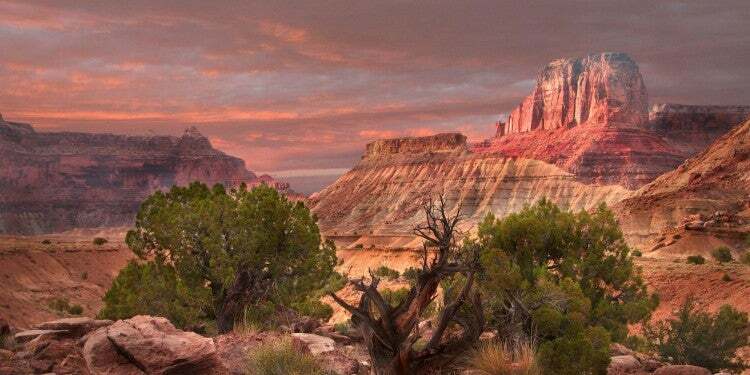 “This is one of the most popular campsites in Zion and getting this site was not easy. I would not recommend coming in the summer as I did. The temperature was way too hot even at night. Coming in the Fall or Winter would be the wisest choice.” -The Dyrt camper Jasmine L.
When you take the park shuttle, you don’t have to worry about directions to the trailhead. Instead, you can be taken right to it. This also means you can leave your car parked in one spot, and avoid the influx of traffic during the day. The shuttle also provides access to town, where you can stock up on supplies or treat yourself to a meal and a cold one at one of the many restaurants. “The best part of this campground, in my opinion, is the proximity to hiking and the shuttle lines. The campground is within a 5-minute walk of the visitor center where you can access a shuttle into the park, or the shuttles that go to Springdale, where there is a grocery store, gift shops and restaurants” — The Dyrt camper Amanda D.
Image from The Dyrt camper Samantha R.
The Narrows and Angel’s Landing are gorgeous hikes, but they are often clogged with hikers if you don’t arrive early in the morning. Observation Point is a less crowded and equally intriguing option if you are getting a later start to your day. Save the other hikes day when you feel like catching the sunrise. “Observation Point was our favorite hike. 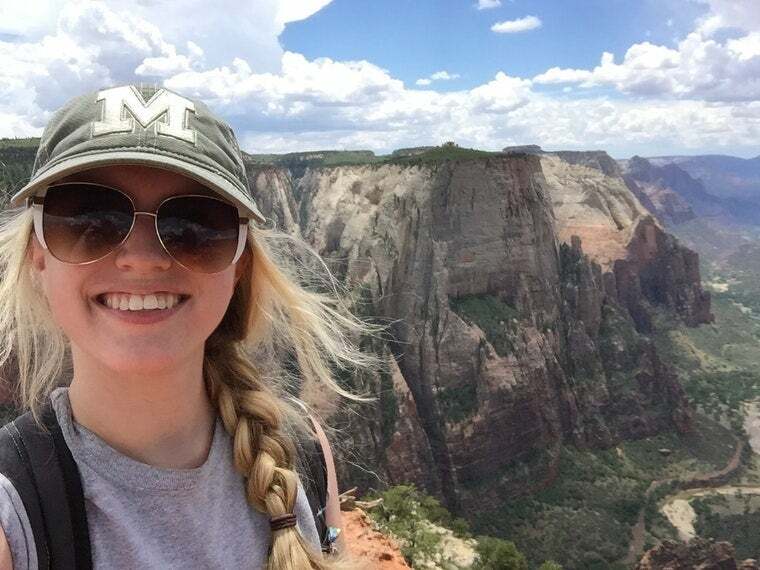 Better views and less crowded than Angels Landing.” — The Dyrt camper Samantha R.
Image from The Dyrt camper Megan O. When you wake up exhausted from hiking the day before, skip the instant coffee. Instead, go into town to reward yourself with a feast. We love a good meal around the campfire, but if you’re staying in Zion for a few days, it’s nice to get out of the park for a few meals. Springdale , UT offers some scrumptious options. 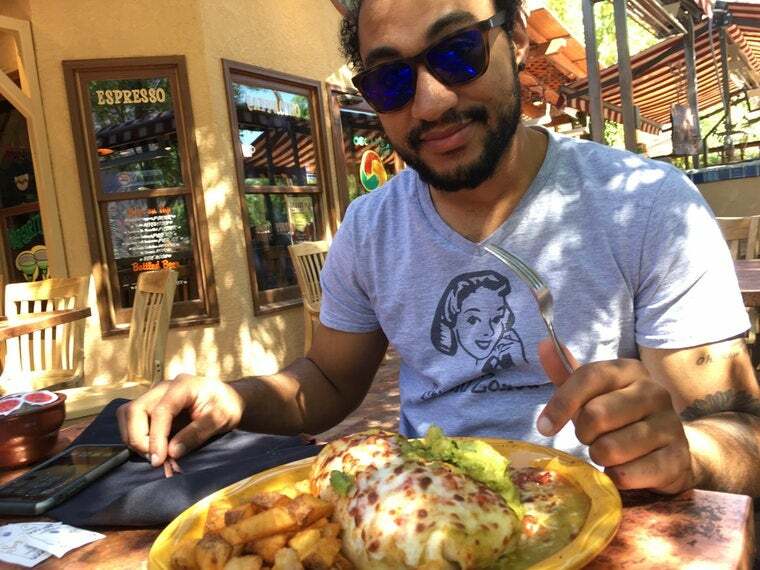 “Check out Oscars Cafe nearby for the best breakfast burrito you will ever eat.” — The Dyrt camper Megan O. Image from The Dyrt user India S.
Many national park campgrounds feature showers for weary travelers to cool off and downgrade their dirtbag level. Watchman Campground is not one of those parks. However, they do have a natural way for you to cool and rinse off during your stay. 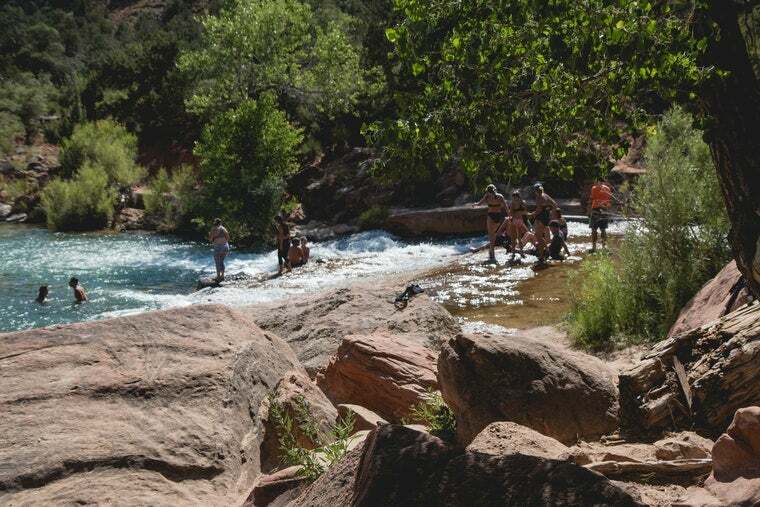 Take a dip in the nearby Virgin River. Just skip the soap. Even soaps labeled as “biodegradable” can be harmful to natural water sources. “The bathrooms are kept very clean! I was impressed. There are no showers or trash cans (save sanitary disposal trash cans) but there’s a fantastic river running through Zion to make up for the lack of showers.” — The Dyrt camper India S.
Since this site is a developed campground, there are not a ton of trees to provide privacy. Embrace the communal vibe and say hello to fellow campers! You might find yourself sharing stories around a campfire with new friends. “The sites are very close and noise carries throughout the campground. BUT it was amazing staying in the park, parking the car once and taking shuttles everywhere. 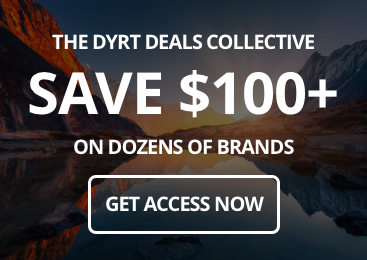 Really enjoyed our stay!” — The Dyrt camper Laura J. Image from The Dyrt camper Carly M.
On some trips, you want to use your phone for social media posting, emails, and communication. 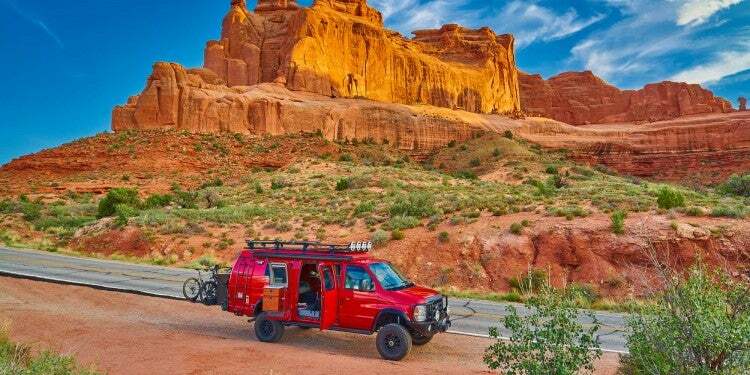 Other times you just want to unplug and enjoy the scenery. At Watchman Campground there is cellular service, so you can choose to take a break whenever you want to. 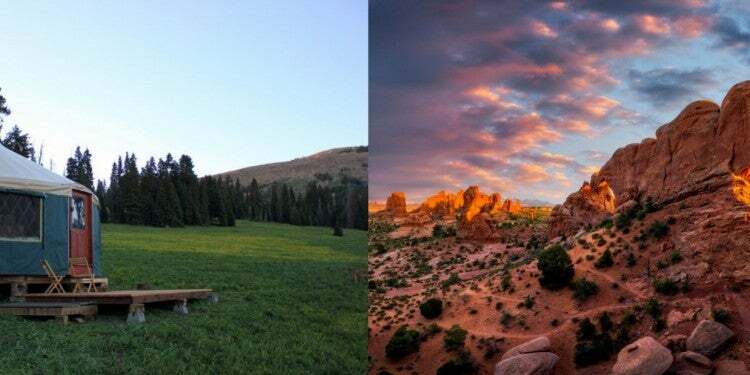 “This campground is close to amenities and allows for full cellular connectivity, which can be a good thing or a bad thing depending on your camping preference.” — The Dyrt camper Zach M.
About forty miles north of the popular Zion Valley lies a wilder side of Zion National Park, where fellow hikers and campers are few and far between. 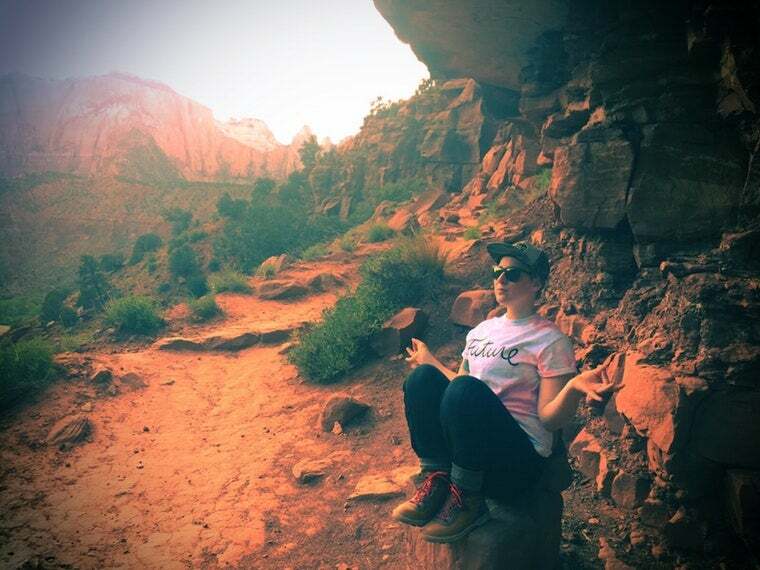 Kolob Canyons is a vast expanse of slot canyons and sandstone cliffs. Reserve a backcountry permit and you can reach places that are just as stunning as what you’ll find in the main section of the park. You’ll need to come prepared with plenty of food, water, and backcountry knowledge. You won’t find a restaurant or camp store at this end of the park. Hatie Parmeter is a current Chicagoan but will always be a Minnesotan at heart. She is the founder of Whoa Mag, an online magazine about women who inspire others with their love of the outdoors. She enjoys paddling wood-canvas canoes in the BWCA and walking her dog Norah Jones.